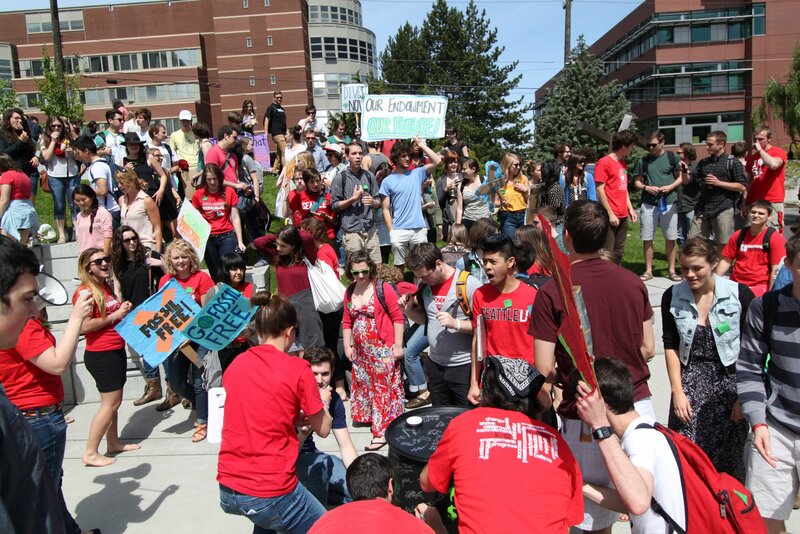 In 2012, students at Seattle University launched a campaign to get their school to divest from fossil fuels. 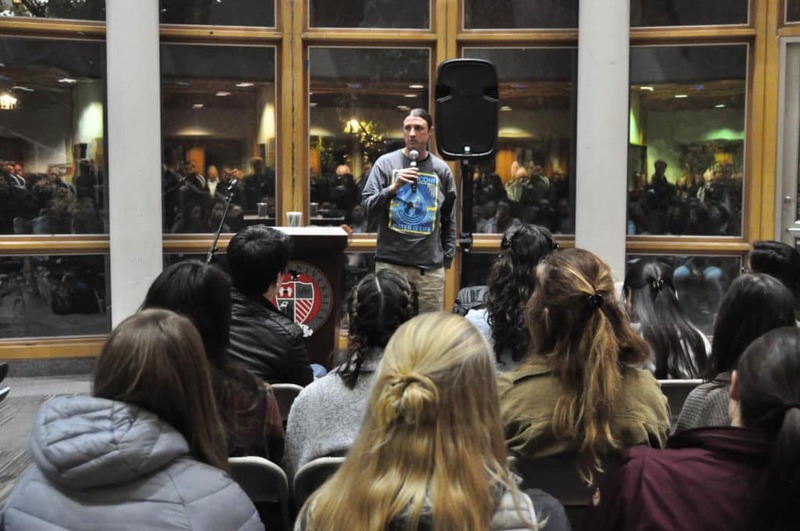 In September 2018, after a long six-year campaign, Seattle University announced that it would divest from fossil fuels in its endowment. They are the first university in Washington State to divest from fossil fuels. 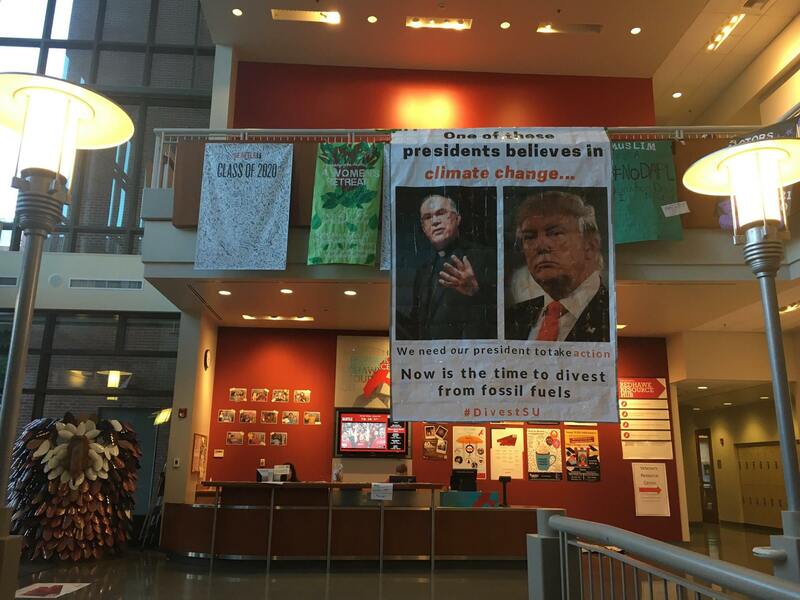 Banner drop at Seattle University. 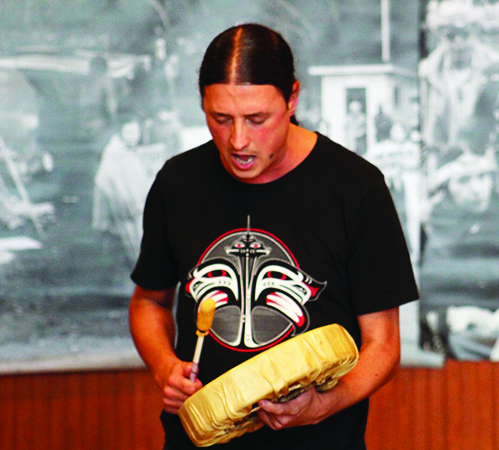 Matt Remle (Lakota) speaks to students and faculty at Seattle University about divestment efforts against Wells Fargo and the City of Seattle. Throughout the years, students held demonstrations, direct actions, public awareness events, and applied direct pressure to key decision makers. This entry was posted in education, Tribal Leadership and tagged Divest the Globe, Divestment, Last Real Indians, LRInspire, matt remle, Mazaska Talks, Monica Chan, Nicolás Cruz, Seattle University, Wakíƞyaƞ Waánataƞ by lrinspire. Bookmark the permalink.